Improving soil microbial activity and using microbial synergistic relations, such as arbuscular mycorrhizal fungi (AMF) and plant growth-promoting rhizobacteria (PGPR), are of major importance for plant growth in contaminated soils with heavy metals. In this study, growth of Russian knapweed (Acroptilon repens L.) inoculated with either AMF or PGPR was studied in a soil spiked with 0, 10, 30, 100 mg kg− 1 cadmium (Cd). AMF colonization rate in roots significantly declined by an average of 63.6% as soil Cd level increased. Similarly, shoot dry weight significantly declined as soil Cd level increased, but inoculation with either AMF or PGPR showed a promoting effect on shoot biomass compared with the non-inoculated plants. 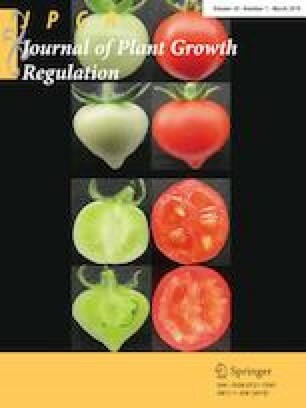 Cd concentrations in the shoots were higher in the PGPR-treated plants compared with control plants, whereas Cd concentrations in the roots were higher in the AMF-treated plants. The highest amount of Cd extraction was observed for PGPR-inoculated plants, followed by AMF-inoculated plants, and control plants. Elevated Cd level in the soil decreased the photosynthetic pigments chlorophyll a, chlorophyll b, and carotenoids, but AMF- and PGPR-treated plants alleviated this effect compared with control plants. Similarly, relative water content (RWC) of Russian knapweed plants decreased with elevated Cd level in the soil, but RWC was higher in the inoculated plants in all Cd levels in the soil. Inoculation of Russian knapweed plants with AMF and PGPR may effectively contribute to restoration of Cd-contaminated soils and can promote phytoremediation processes. Further research could focus on the effectiveness of Russian knapweed plant inoculation with AMF and PGPR in alleviating heavy metal toxicity in different soil types. The authors gratefully thank the Research Vice Chancellor of Urmia University for the financial support provided to the project. They also acknowledge the help provided by the Soil and Water Research Institute (SWRI) in preparing the microbial isolates.